Yo. Welcome to my comer of scratch! I Like Fnaf,Nintendo and deltarune/ undertale. Super Smash Bros vs Contest of Champions Collab! 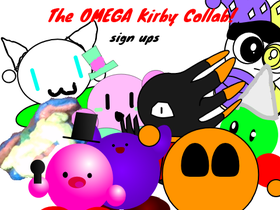 The OMEGA Kirby Collab | The Studio. Mr Meme: King For a day Tournament!